I recently sat down with a dear friend for lunch and to catch up on what’s been going on in each other’s lives. The first thing I want to say is I am so thankful for God given friends that are still friends across the gaps of time and distance. 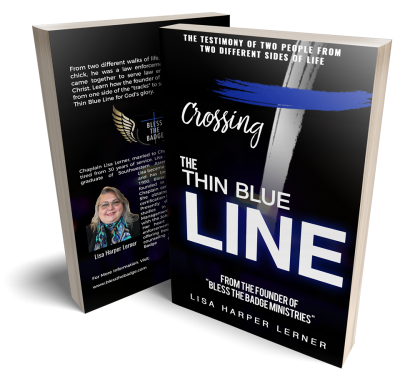 Secondly, I have so many friend’s right now that have felt the call of God to ministry and who are questioning how and striving to make it work, so when Lisa shared her story about how God is orchestrating her ministry, I just knew that other people need to hear about it too. My good friend Cherry Fargo asked me to write a piece for her blog, and I am honored she asked. We have known each other quite a few years and I have been amazed at how God uses her in such detailed ways. Sometimes only those around you can see what you cannot see yourself. It’s difficult for any of us to see the big picture outside of ourselves. 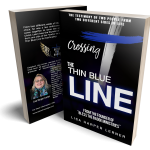 My husband and I began a ministry to Law Enforcement after we were married a couple years back in 1991. That’s back in the DAY, right?! Well, we say we wish we would have known then what we know now, but if we could all do that we would miss the journey! You know, the sleepless nights, the fasting, the praying, the missed opportunities, the countless questions of doubt that you are supposed to be doing what you are doing? Yea, that one. One thing I have learned through these last 3 decades is that God’s calling is without repentance. That is a solid truth you can hang your hat on, whether you see it now or not. We struggled for many years trying to fund raise, trying to find open doors, but we always kept moving. If something didn’t work, we talked it through, and went another route. Trust me there were many times we tried to pry doors open and that always failed. There were times we told God that certainly He wanted us to do this or that this way and at this time….umm Nope. We learned priceless values we wouldn’t trade now, and each road, wet or dry, was worth it. You can’t live out of freedom and rest if you are still plotting your course, yourself. We sometimes forget that God can and will fund His work, expand His work, anoint His work, and honestly, we are there only to be the mouthpiece for what He needs to do. It is ALWAYS His agenda. If that gets flipped, it’s a long road back to the dropping off point, where you left Him. We had been faithful in doing the ministry until 2001. We went to a conference that God spoke clearly to us on the next path that would pull all we had done into our new name “Bless The Badge”. We continued to provide individual and family counsel, LE (Law Enforcement) only events, and doing fundraisers to help officers injured or in need. In 2014 God decided it was time to put the clay back on the wheel. I was a Police Chaplain at the time for 3 agencies and was doing a Police Wives Group in the area. As sometimes happen, people who are hurt….hurt people. There were a couple that took the bait of offense and became the tool of the enemy to try and destroy all we had worked hard for in building Bless The Badge. It was a brutal year. In order to prevent damage from lies and accusations to my guys and the agencies, I stepped down from all three agencies, and we decided we needed to step back with the ministry. The Lord didn’t require a “step back”, he required a death. We shut down everything with Bless The Badge from the Facebook Page to the checking account. I was devastated. Why? Because I had somehow made the transition that it was mine. This was MY work, this was MY sacrifice, it had MY name on it. I couldn’t see it, but God did. He used the enemy’s tactics to get my attention in the only way I would listen. With a 2×4. I buried it all and let it go. Then on 07-07-2014 my elder brother Reece, shot himself at his home in AZ. I was already shattered, but this, melted all resemblance of who I thought I was, and honestly who I thought God was. I had counseled many over a suicide as a Chaplain, but this pain I still wish I did not know personally. As we walked this new road of grief, doubt, pain, and trying to find our steps God had a plan. 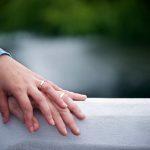 In 2016, a couple we met at church was having serious marital issues. He worked for a local Police Department and was showing the classic signs that most of them do trying to deal with a psychologically and physiological “impossible” job. We met with them and God. Showed. Up. That October of 2016, we did a Police Wife Conference. It went well, and we were able to reach dozens of wives with wisdom, knowledge, and the Gospel of Christ. The following April 2017, we did another one and had over a hundred attend! Then we received invitations to come to Austin, Brownwood, and California! 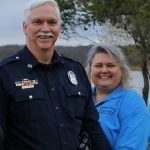 We had no idea how this would be funded, because January 2016 my husband retired from the police department after 30 years of service and we were on a fixed retirement income. If God opens the door, HE will make a way to step through it. We had no fear or worry, we just said OK God, let’s go! We did the California conference and God paid the way. In 2018 we have had conferences in our city, Oregon, Washington, Kansas City, Lubbock, North Carolina, and in September we go to Las Vegas, then McKinney Texas. All paid for by God in using people to respond to this vast mission field. We have done so many counsel sessions this year and God has restored many marriages, 5 of those were already in divorce court! We are already booked in 5 states for 2019! It is such a joy to just go along for the ride. There is no struggle, no agenda, and freedom to go and do as He prepares the way. If He doesn’t open the door, we don’t go. Plain and simple. There is so much more to say, I just hope through this testimony you can hear and see that God is always enough. Be encouraged that He isn’t deaf, nor unwilling to use you for His Kingdom. Make sure your heart, mind, and soul are surrendered completely. He called you to do His work, and He is certainly able to modify it, shelf it, plow it, and bring it to harvest when the time is right. Resisting is futile, LOL believe me I tried! It is soo much easier to float than swim. Thank for taking time out, I pray it brings peace and strength to your journey. Precious people. I love that you have shared Lisa’s story. There seems to always come a time of pruning in the midst of success. Those who are pruned, come back stronger and more vital to the success of the ministry in their hand. I will be purchasing Lisa’s book. I had no idea she authored one. I will be praying for you Lisa. Love ya’ll. Rhonda! Thank you and I know you have walked the road for a long time. Thank you for supporting us with Bless The Badge by purchasing the book. Sure would love to sit down with you someday and catch up.